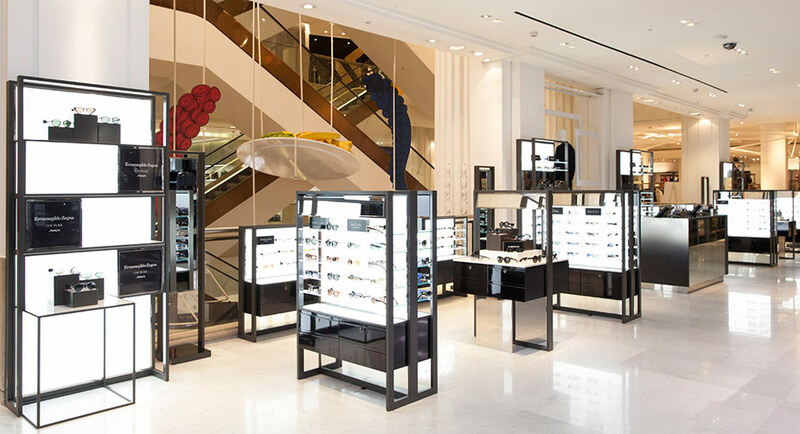 After our very successful completion of a backlighting project for David Clulow designer sunglasses range at Selfridges, we’re pleased to share our feature in A1 Lighting Magazine. David Round, director at Datum Contracts and the main contractor on the project said “Bright Green did an excellent job working to a very tight deadline turning around the LED light panels in just ten working days”. A1 magazine also mentions our custom LED Light Panel engraving process – whereby as the distance from the LEDs increases the spacing between the etched lines decreases. This light guide means you get even diffusion across the entire panel – no striping and no drop off in brightness toward the middle of the panel. We are also noted for our sleek and high quality system that helps the display to focus’s the consumers’ attention on the brands displayed.